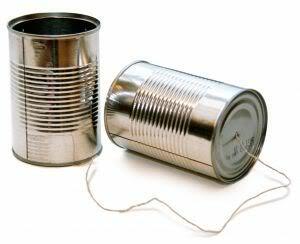 Why do producers feel it’s like talking through tin cans when communicating with carriers? Sam Friedman, National Underwriter Editor-in-Chief, recently wrote in his blog (A View From the Press Box) about the need for carriers to improve communications with Producers. Mr. Friedman was discussing the Producer Satisfaction Survey of 1,596 qualified agents and brokers by Deloitte’s Insurance Industry Group—conducted in partnership with National Underwriter (read more at Producers Seek More Input). Improved producer carrier relationships can be a competitive advantage to help increase profitability in tough economic times. According to the survey, a key differentiator for carriers to attract more business from their producers is in the areas of claims handling and technology. Most modern claims systems can create automated customized reports. Producers should be able to ask for specific reports and have them electronically scheduled for delivery. If a carrier cannot provide this service it is because their technology is not up to speed or is not being used correctly. The reality is most claims departments fail to use their existing claims systems to their fullest capabilities. At the very least automated reporting should be available to include regular loss runs and trending reports, as well as notification of significant claim events. Often all you need to do is just ask for what you want. There are of course many steps that can enhance producer/carrier relationship as it relates to claims. From the carrier side, producers assisting in getting information from insureds, promptly reporting losses and helping with deductible issues are just a few. Carriers can work with producers to provide prompt detailed reports which will benefit both parties through improved risk selections and better underwriting. Better reporting will go a long way to improving relationships, and can only help increase profitability and enhance service to the policy holders. Tagged with Claims Technology, Claims Trends, Communications, Data, Improve, Procedures, Process, Producers, Reporting, Reports.